This Scarab has a drop point blade with a plain cutting edge and Microtech's Apocalyptic finish. The black anodized 6061-T6 aluminum handle has grip inserts on front and back. 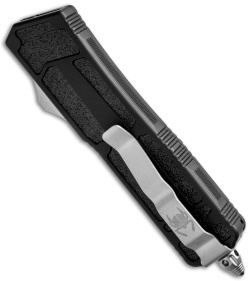 The hardware, pocket clip and glass breaker are bead blast finished. 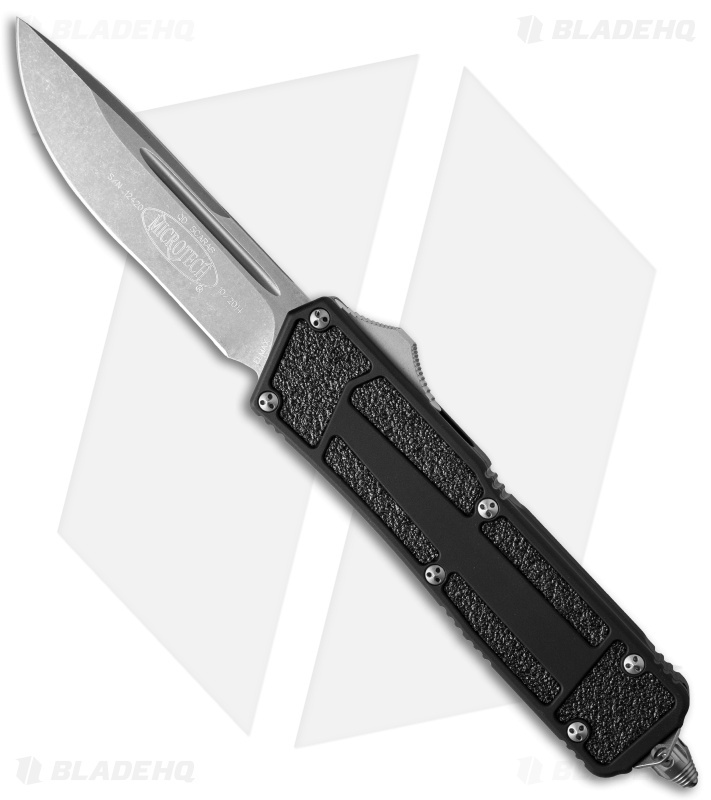 Model information and Microtech logo on the blade with the Scarab logo on the pocket clip.